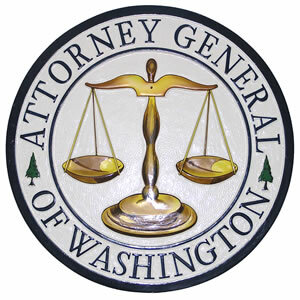 Washington Attorney General Bob Ferguson recently filed a lawsuit against Internet Order LLC and its CEO Daniel Roitman, doing business as Stroll, for alleged violations of the federal Restore Online Shopper’s Confidence Act (ROSCA) and the state’s Consumer Protection Act. Filed in the United States District Court on Tuesday, the suit is the first enforcement action suit under ROSCA. It alleges that the company used deceptive marketing tactics to lure millions of customers -- 38,000 in Washington alone -- into a negative option sales purchase plan of a foreign language audio program. The courses are marketed under the brand name Pimsleur Approach. Ferguson's suit alleges that the company website and advertising promoted a $9.95 introductory price on a set of basic language self-instruction DVDs. The lawsuit alleges there were hidden terms not clearly disclosed to customers that automatically enrolled them into a purchase plan that required them to receive up to four shipments of advanced-level DVDs for $256 each. It is also alleged that the company’s unfair policies made it unreasonably difficult for customers to cancel their enrollments or return items they hadn’t ordered by adding re-stocking fees. The company also allegedly used high pressure sales tactics and threats of being sent to a collection agency.